“We never left,” opened Mr. Yoshiaki Kato, Mitsubishi Motors Philippines President Corporation (MMPC) President and CEO. As the only carmaker with a continuous presence in the country for the past 50 years, MMPC is stepping up its commitment by acknowledging local parts suppliers who will take major roles in the local production of the Mirage and Mirage G4 under the Philippine government’s Comprehensive Automotive Resurgence Strategy (CARS) Program. 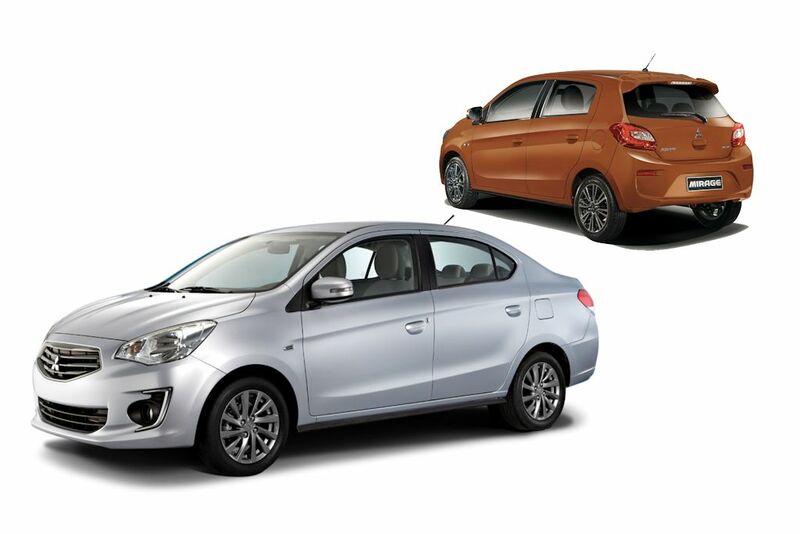 With the Mirage and Mirage G4 responsible for boosting MMPC to become the Number 2 player in the Passenger Car category, the Japanese automaker is committed to produce and market 200,000 units of their well-received sedan and hatchback over a 6-year period. Furthermore, the automaker is already investing heavily for an in-house stamping shop and an expansion in its assembly capacity and support facilities. Joining MMPC are twenty five suppliers who were just awarded the Certificate of Participation. This is just the first batch of suppliers who have firmed their involvement under MMPC’s Local Parts Manufacturing Program. The awarding of the Certificate of Participation to the suppliers was headed by Mitsubishi Motors Corporation (MMC) General Manager for Philippines Business Office, Mr. Ken Kataoka, Mr. Toshihiro Ito, MMC Manager for Global Procurement Department, Sojitz Corporation’s Assistant General Manager, Mr. Junya Masuda, and Mr. Yoshiaki Kato. Joining MMC, Sojitz Corporation, and MMPC’s executives during the awarding were Department of Trade and Industry (DTI) Undersecretary Ceferino Rofolfo, Board of Investments’ Governor Henry Co, Mr. Romulo Manlapig, Assistant Secretary & BOI CARS Program Director, and Embassy of Japan Trade & Commercial Attache, Mr. Junichiro Suzuki. This significant event marks another milestone as MMPC partakes in this government program. It was only in June 2016 that MMPC’s application to participate in the CARS Program was approved by the Department of Trade and Industry’s Board of Investments. Since then, MMPC has gone full speed, groundbreaking a new stamping shop at MMPC’s facilities in Santa Rosa, Laguna. Furthermore, in October, MMC Chairman and CEO Mr. Osamu Masuko signed a Letter of Intent with the Philippine government dignitaries witnessed by President Rodrigo Duterte himself. The Letter of Intent re-confirms both parties’ commitment to the CARS Program and to the contribution of the Philippine automotive industry under the Duterte administration. MMC has invested P 4.3-billion to support this program. MMPC’s participation in the CARS Program is expected to significantly contribute to the local automotive industry and economy. Under this program, MMPC is poised to create more jobs not only for the company, but also to its local parts suppliers. In fact, MMPC has just recently started a second shift in preparation for the local production of the Mirage and Mirage G4 which will commence soon. A total of 500 assembly workers were added to support this second shift operation. Additional manpower will be required when the stamping plant is operated by early 2018. Apart from spurring growth in the Philippine economy, MMPC’s participation in the CARS Program would mean the Mirage and Mirage G4 would be made even more competitive. Off hand, the automaker believes that both units can be speced to carry more comfort and convenience features which are more tailor-made for the Philippine market. In addition, as the stamping plant comes online, the price of both vehicles may become more affordable. would this bring the price down of the mirage? Now that Nissan owns Mitsubishi Motors i hope that nissan also opens a new plant and invest here in the Philippines and launch the new datsun here in our market. Mabuhay Mitsubishi. I hope our president supports our automotive industry like how thailand and india does. Si Mr. Obrero di marunong mag basa kasi. wow! this is good news! mitsubishi is economical thus far, so this tie-up means better quality and more efficient vehicles for us. I'll wait and see! Hopefully and for immediate implementation of mmpc. Improve and accuracy their after sales department.. Parts department and Service Advisor.. Evolander dealer(mitsubishi taytay) to be specific.. Fully synthetic oil is my request and what i paid for my change oil but what they did and applied is standard oil, be fair mitsubishi taytay. You have a nice brand and car mmpc but Poor service mitsubishi taytay.